A modern island unit can create an ultra chic statement in your kitchen. Use the space as a food prep area or somewhere to socialise. High stools provide extra seating too. Open shelving is the perfect way to show off your most treasured kitchen items. 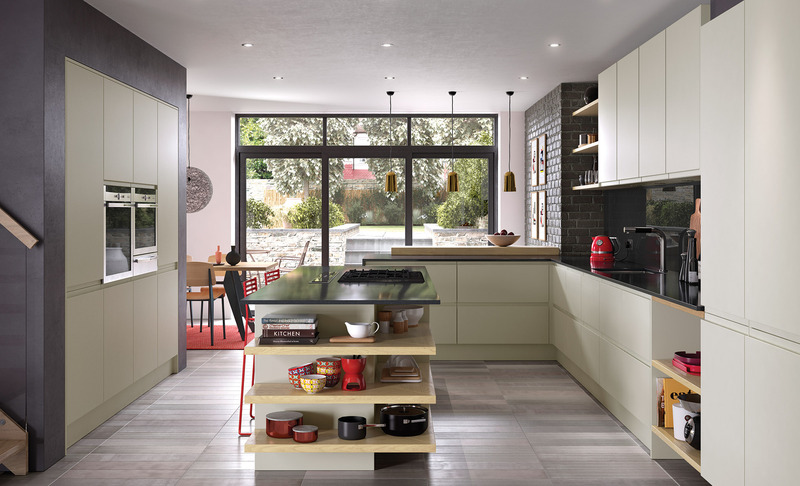 This feature works beautifully in this contemporary kitchen and gives it that real modern edge.